NoDa, short for North Davidson, is a small district within Charlotte with big statements of art and entertainment. You won’t get a taste of NoDa anywhere else in Charlotte…with its unique shops and restaurants, walls eclectically decorated with local artists’ paintings and murals, art galleries and studios, plus live music, theatre, and comedy, NoDa is a unique experience in itself and cannot be duplicated! 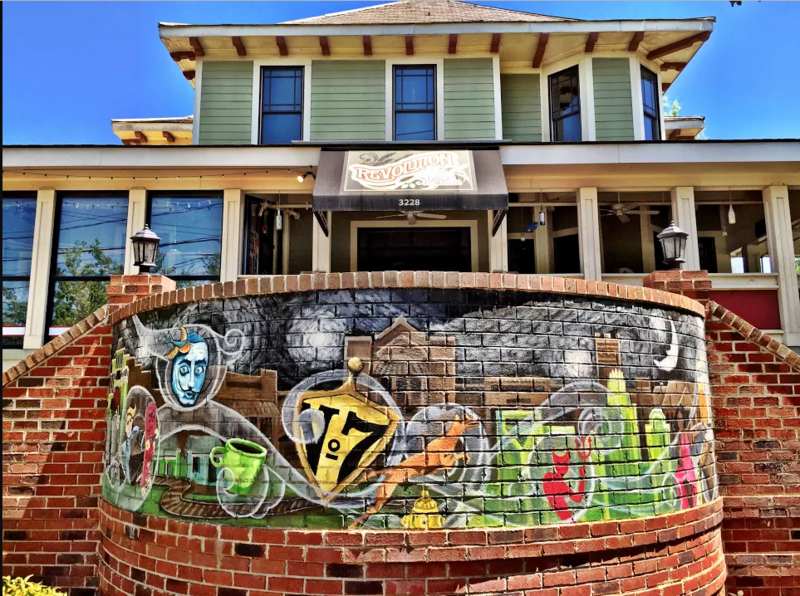 Just walking down the streets of NoDa will give you left-brained people a whirlwind of inspiration, and will give even those not artistically inclined a major spark of creativity! 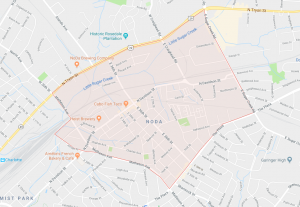 Encouraged within the streets and shops of NoDa are the principles of diversity, eco-conscious lifestyles, creativity, and TONS of support for small businesses. It’s Saturday, you’re in the city, with no agenda and no itinerary; you’re up for anything. You’ll start the day out with a coffee and pastry from Smelly Cat Coffee House, and are positively overwhelmed by the welcoming environment. After your relaxing morning there, you are suddenly craving tacos…so you wander on down to Cabo Fish Taco and prepare your tastebuds for a party. Now, that heavenly fish taco you just devoured would be impressively complemented by a nice cold beer, wouldn’t it? Visit Heist Brewing or NoDa Brewing Co. for a fun bar scene with tons of craft beers on tap. Or maybe you’ll check out Salud Beer Shop to choose from a selection of on-tap, canned, or bottled beers from all over the world. Kick back for a few, meet some friendly locals, and then maybe after all of that excitement, you’re in the mood to do some gift shopping for someone important (like yourself!). Well, you’re in luck; unique shops and boutiques line the streets of NoDa, selling anything from hand-crafted jewelry and accessories, to clothing, trinkets, art, pet supplies, and much more. So, you decide to pop on in to NoDa Eclectic Marketplace and you find that perfect, ‘have-to-have’ thing that’s just screaming your name. You’ve started to get the hang of this little town, and you’re ready for something a little more bold and exciting to do…Go in and meet the talented tattoo artists at 510 Expert or Fu’s Custom Tattoo parlors and get together a plan for your next piece of ink! Now, the sun is setting, and you’re wondering what kind of ending is in store for the exhilarating day you’ve just had. You find out that The Evening Muse is hosting a local musician within the hour, and like you said, you’re up for anything…So, you grab your ticket and then head over to Blended Bartique to wait out your time with a creative libation and a little shopping, all in once place. While browsing the shelves, you come across a unique hat that will bring back nostalgic memories of your day in NoDa every time you put it on. So you check out, head back to the Muse, and rock out until you just can’t rock anymore. Now midnight is approaching, and while the streets are still booming with lights and people and things to do, your head is already on its way to the pillow. You go on home and dream a little dream about your uplifting and fun experience in NoDa, and think about what’s on the books for tomorrow…wouldn’t hurt to go round two, would it?